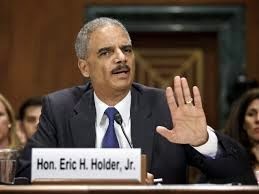 WASHINGTON (AP) — Attorney General Eric Holder is resigning after heading the Justice Department for six years. A White House official says President Barack Obama will announce Holder's departure later Thursday. Holder is the first black attorney general, and his tenure is the fourth longest on the job. He plans to remain at the Justice Department until his successor is in place.